Basic PLC SCADA training course is focused from a maintenance perspective, less time & money and more convenient than the traditional courses. 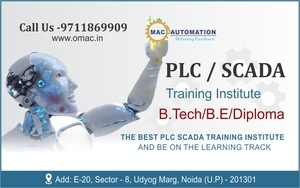 Omac Automation have best PLC SCADA training program for 6 Days or 6 Month. Take as much time as you need till the placement.